Lucky was found wandering alone in Caledon and on August 1st she joined our family. Her ear tag had the number 13 on it, so we thought Lucky was a fitting name. 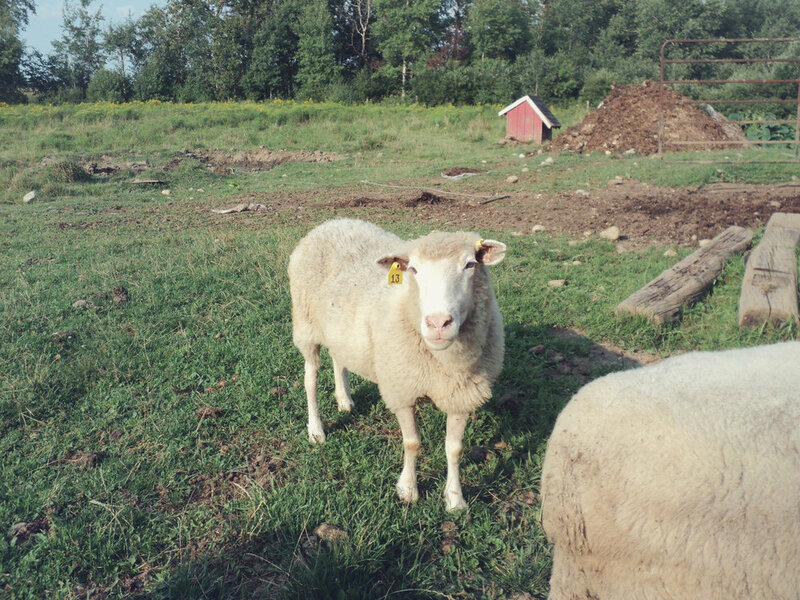 Exactly two weeks after she arrived, she squeezed under a fence and introduced herself to our two sheep, Brad and Gus. They are rarely seen more than a few feet from each other. Lucky appears to be an older girl but she is a fluffy ball of energy and makes the most of her days.